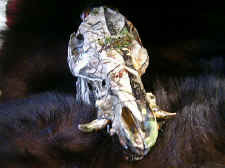 Brown Bear Taxidermy creates some of the finest life like boar taxidermy mounts found anywhere. 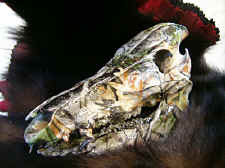 Boar Taxidermy with a 1 year or less turn around time. We maintain a 100% customer satisfaction rate. Boar Taxidermist - Professionally and expertly trained by some of the top names in the industry in boar taxidermy and we are fully licensed. We can forever freeze in time when that boar appeared, tusks gnashing, ready to charge. 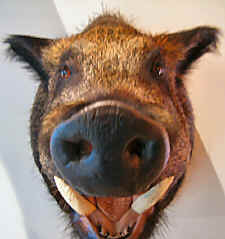 Boar taxidermy that captures the thrill of your hunt. 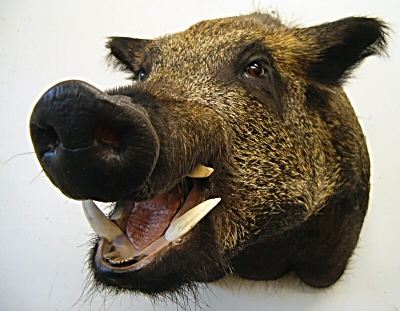 We are fully trained in all of the latest boar taxidermy techniques and our results speak for themselves. Eastern Boar Taxidermy, Russian Boar Taxidermy, no matter what strain or breed of your boar we deliver the highest quality boar taxidermy mounts around. Copyright Protected & Strictly Enforced - Copyright 2001-2019 Brown Bear Taxidermy Inc.